The American Association for Medicare Supplement Insurance has just posted videos of 28 sessions and keynote addresses recorded at the organizations just concluded National Medicare Supplement Industry Summit. Access ifs available free to view the videos from the national event that attendees paid to attend. “The national Medicare Supplement conference brings together industry leaders and we are proud to make recordings available so those unable to attend can benefit,” shares Jesse Slome, director of the organization. The 10th annual Medigap industry conference took place June 12-14, 2018 at the Marriott Grand Hotel in St. Louis. Over 700 industry executives and insurance and financial professionals attended. All recordings can be accessed and watched on any device with Internet access. “In most cases you’ll see the presenter giving the talk as well as their presentations,” Slome advises. “It’s better than being in the room because you can pause, re-watch key points or start and stop at your leisure,” he adds. 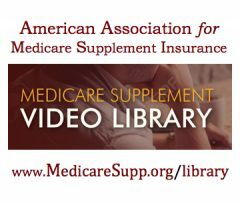 All recordings from the 2018 conference as well as prior Association national events can be accessed via the Medicare Supplement industry library at www.medicaresupp.org/library. 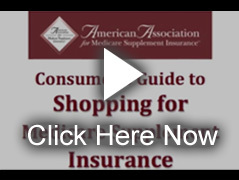 The American Association for Medicare Supplement Insurance organizes the national industry conference. The organization maintains the leading national online listing of local Medigap insurance agents utilized by consumers seeking information and planning options.